A beautiful lavender Martingale collar, made of pure brocade, also suitable for greyhounds and whippets. 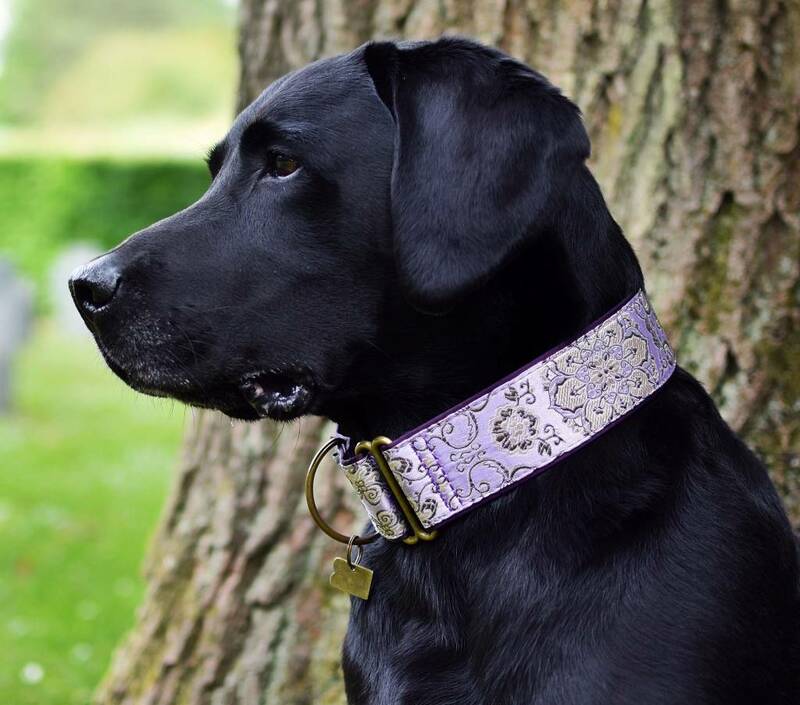 A beautiful lavender brocade dog collar, that is made entirely by hand. A Martingale collar enhances safety for you and your dog because the dog can not escape as the collar can not be pulled over the head. Because the collar is adjustable, it will always fit exactly around the neck of your dog. 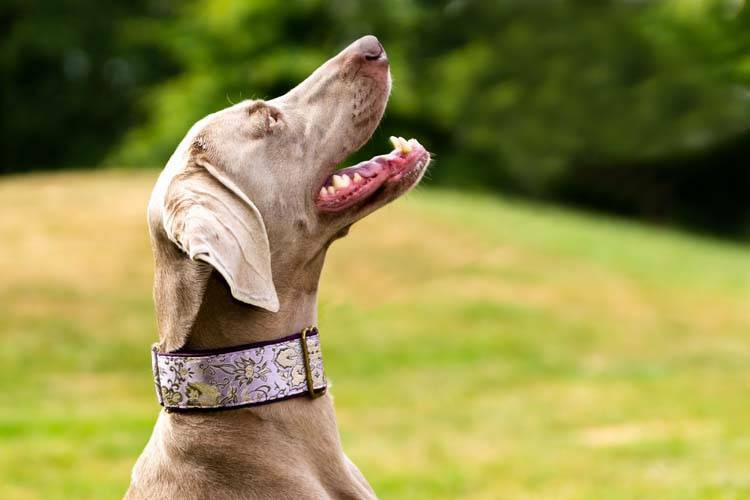 In addition, the collar will close itself if it is pulled in a non-aggressive manner, giving you better control over your dog and the neck can not be damaged. Mooie zachte halsband voor onze hond met een kwetsbare nek.